When you need to calculate the valuation of a business for investors or when you are in the process of selling your business, make sure you’re performing the right calculations to determine real business valuation. There really is no single way to determine what a business is worth but there are several things you can analyze and review to measure performance, profitability, and a few other important metrics. This valuation method takes a closer look at the assets and liabilities of the business. The ultimate question you ask with this approach is how much would it cost to create this business and produce the same benefits. The business value is the difference between assets and liabilities. You could review balance sheets but also look beyond ‘recorded’ assets to determine how much the business delivers. For example, a business that offers a unique service or has introduced a new product to a highly-receptive market will have a higher value than a business that simply has more assets than liabilities. The asset approach can serve as a baseline valuation method. With this approach, you would rely on a number of signs in the marketplace to determine what the business is worth. You might compare the business to similar businesses in the same market and find out how much other business sell for. Ultimately, you would be able to determine the business’s fair market value based on what the buyer is willing to pay for the business. You will be working solely with monetary value figures and using market data to construct realistic sales prices for your business. 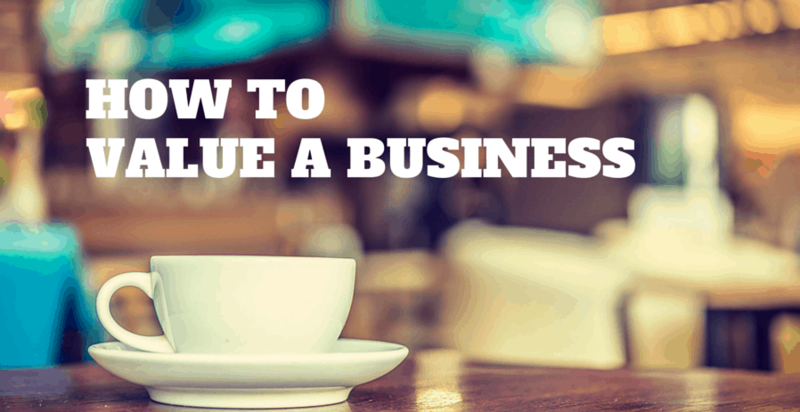 Using this valuation method means you will be focusing solely on the economic benefit of running the business. This is not based on money that has been earned already but what the expected earnings are in the future. This can be a riskier method because there is no guarantee that the business will earn that amount or close to it. However, you can make some realistic estimates based on past history and determine what the potential earnings may be with some basic formulas. Many small business owners use the business valuation by direct capitalization method or the discounting method when working with income values. The capitalization method involves dividing expected earnings by the capitalization rate. The discounting method involves projecting business income for a few years and then determining the discount rate. You can then determine what the business is worth at the end of the projection period. It is a good idea for any small business owner to learn how to read income statements and work closely with an accountant or financial professional to accurately determine the value of assets and liabilities. You could also hire a professional to perform a valuation as a third-party. These professionals will be able to provide detailed reports but it is important to remember that most of the results may be entirely subjective, based on the nature of the business.